WooCommerce Product prices can be set globally or on per product basis using Price based on User Role for WooCommerce Pro plugin. When you are setting it globally, you will need to set a price multiplier for each user role which is possible through Multipliers settings. You can also hide product prices for selected user roles using this setting. It works with variable products too. When you tick the Enable multipliers option, the multipliers set for different user roles under Multipliers section will be applicable. 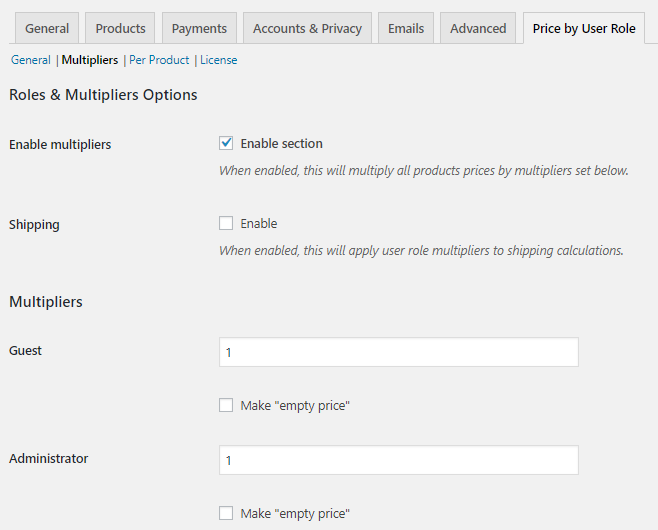 When you enable the Shipping option, the multipliers set for user roles are considered for calculating the shipping charges for the orders. To understand this in detail, let us take an instance and add multipliers to user roles under Multipliers section. This section allows you to set multipliers for each user roles. When you tick the Enable multipliers option, the multipliers set in this section will be considered for calculating the product prices and shipping calculations. Say you want to show double price to the Guest users for all the products on your store. So you will add 2 for Guest role under Multipliers section and untick the Make ’empty price’ checkbox. So now when a Guest user comes on your store and checks the products, the prices for all products will be double the base price (2 x Base price). For instance if the base price of product A is $100 and you add multiplier as 2, then the Guest user will see the price of product A on the front end as $200 (2 x 100 = $200). Similarly, if you want to show discounted price to the Shop Managers of your online store, then you can add multiplier as 0.5 for Shop Manager role under Multipliers section. This means when Shop Manager comes to your store and check the products, all the prices will be displayed as half of product’s base price (0.5 x Base price). For instance if the base price of product A is $100 and you add multiplier as 0.5, then the Shop Managers will see the price of product A on the front end as $50 (0.5 x 100 = $50). Note: When the multiplier for any user role is blank, the price of the products will appear as $0 on the front end and when the multiplier is set to 1, then the actual Base price of the products will appear on the front end for the user. Consider we add the same multiplier for Guest user and Shop Manager as 2 and 0.5 respectively. 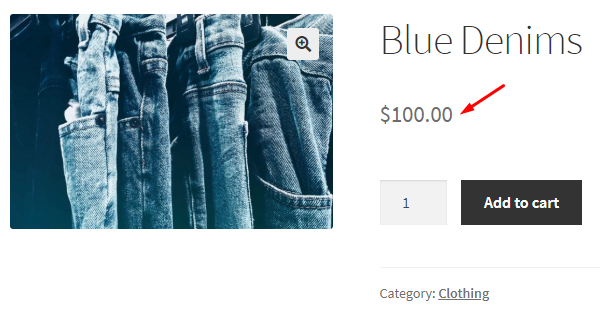 The base price of the product Blue Denims is set to $100. Now the price of Blue Denims product will appear different for both these users as per the multipliers set. 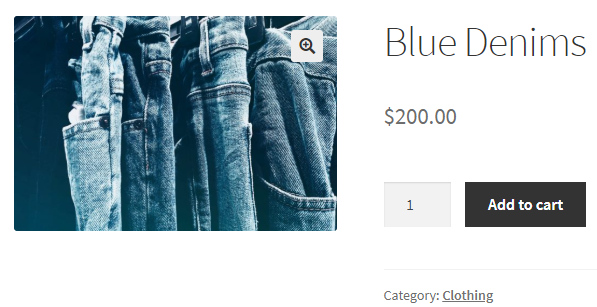 So when a Guest user comes on your store and searches for Blue Denims, the price will appear as $200. And when a Shop Manager checks the product Blue Denims, the price $50 will be displayed for him. This way you can decide on what price to show which user for your WooCommerce products. The multipliers set for different user roles is applicable on both Regular price and Sale price of the product. For instance, set multipliers for Guest as 2 and regular price of product Blue Denims as $100 along with a sale price for it as $80. 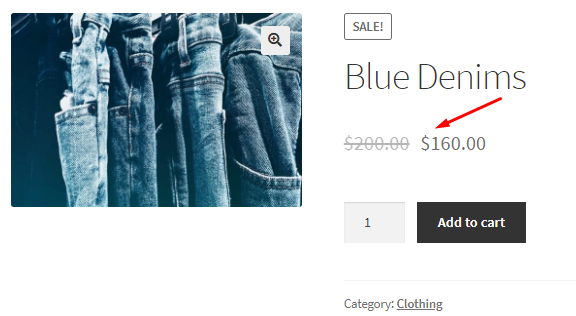 Now when a Guest user visits the store and checks product Blue Denims, he will see a regular price as $200 and sale price as $160. Thus the multipliers for Guest role gets applied on both the Regular as well as Sale price of the product. This option refers to hiding the product prices for selected user roles. So when you tick the Make ’empty price’ checkbox for particular user roles, all the products on the WooCommerce store will appear with no price for that user role. Also, users with user roles for which Make ”empty price” checkbox is ticked, will not be able to add products to the cart. For instance, say you tick the Make ”empty price” checkbox for Administrator role. 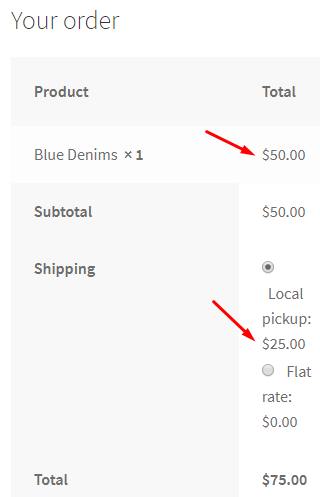 So when an Admin comes to Blue Denims product page, there will be no price and Add to cart button. This way you can restrict the display of product prices and process of purchase for particular users. 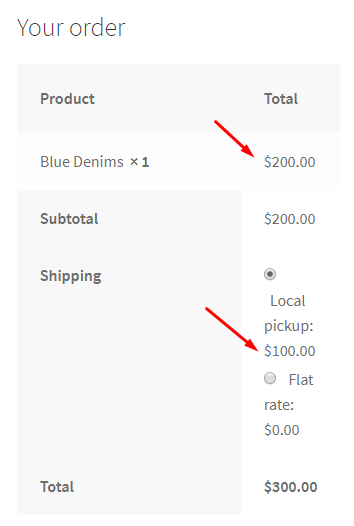 When you enable the Shipping option, the multipliers which are set for user roles are considered while calculating the shipping charges. Consider the same example of a Guest user and Shop Manager whose multipliers are set as 2 and 0.5 respectively. Now when you enable the Shipping option, these multipliers get applied at the Checkout for calculating the shipping charges for the order. So if the charge for the selected shipping method is $20, then the order of a Guest user will show a shipping charge of $40 whereas the shipping charge added to the Shop Manager’s order will be $10. This is because the multipliers you set for different users get applied to shipping calculations when Shipping option is enabled. 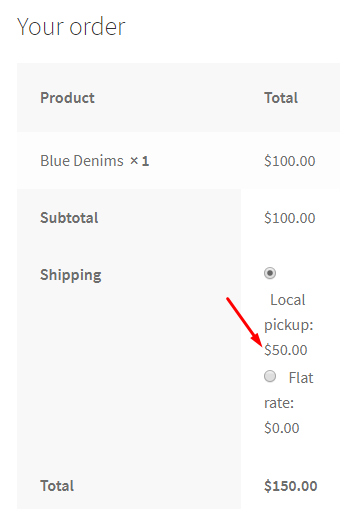 For instance say the actual shipping charge for Local pickup is $50 and price for Blue Denims is $100. Now when a Guest user places an order, the shipping charge will show as $100 for that order . Now say a Shop Manager places an order and selects Local pickup as the shipping method, then the shipping charge in that case will show as $25 for that order. Also when you set the multipliers as 1 for any user role, the actual shipping charge for the shipping method will appear. Therefore in this case, shipping charge will show as $50. Similarly, when the multipliers is left blank for the user role, $0 shipping charge will apply to the order. Note – You cannot have different multipliers for calculating base price and shipping charges, like multiplier 2 for base price and multiplier 3 for calculating shipping charges for particular user roles because same multiplier applies for both. This will allow you to reset all the settings on the Multipliers page to its default settings. 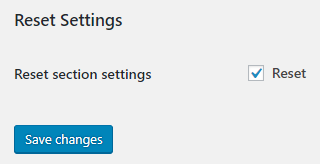 Reset Settings can be enabled by ticking the Reset section settings checkbox. This will enable the multipliers section and the multipliers for all existing user roles will be set to value 1. Also, Make ’empty price’ checkbox for each user role will be unticked.